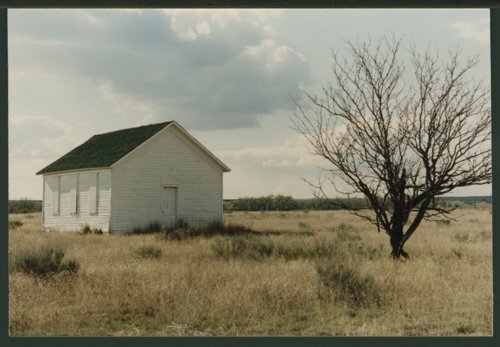 This is a photograph of the Riverside School, a one-room schoolhouse along the Cimarron River. The school was built in 1890, with E. Hirn as the first teacher. The school closed in 1927 and is now located on the Davis Ranch in Seward County, Kansas.